There is so much to talk about in this update! 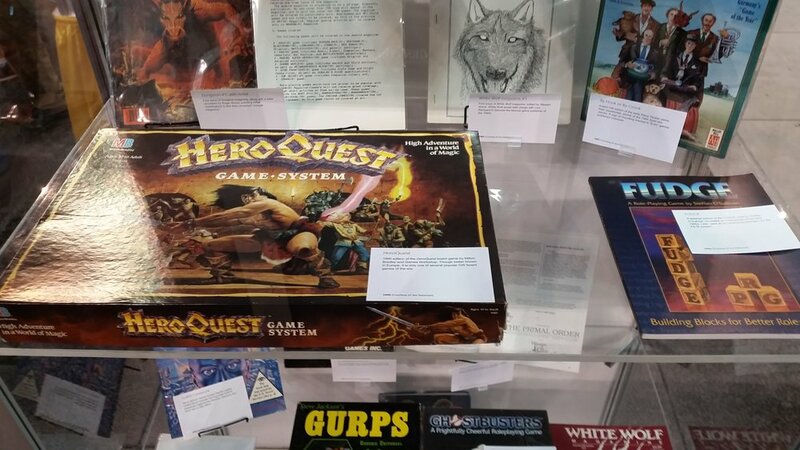 To begin with, I want to express how great it was for the chance to go to GenCon this year and a special thanks to Lance White, co-owner of Gauntlet Games in Lincoln, Nebraska. Lance found us a great place to stay on a short notice and made the 10-hour car ride go by incredibly fast—great time, man! I also wanted to say thank you to James Takenaka, from Hitpoint Sales, for the opportunity to demo Battle for Sularia on the second day of the show. His group there were all top-notch folks! 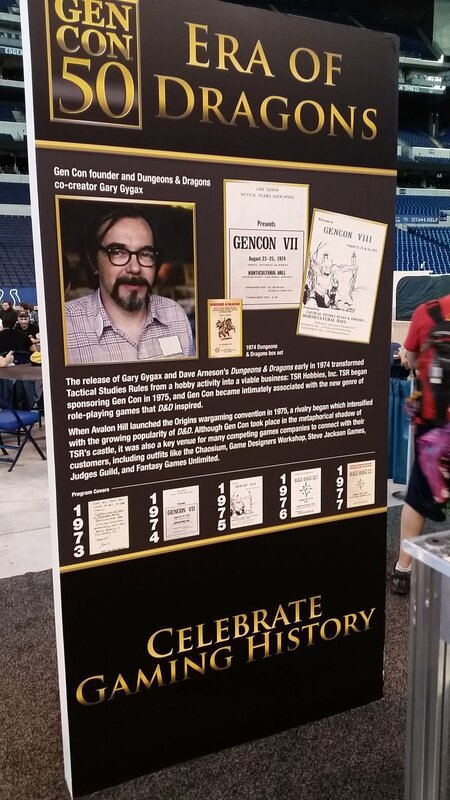 This year was GenCon’s 50th anniversary and it exceeded all my expectations. The last time I was there was in 2015 with the entire Punch-It Entertainment team and I was surprised how much larger this year’s show seemed. Admittedly, everyone knows by now that they had sold out, but still—truly epic! On opening day, I ran into Uncle Atom from Tabletop Minions, which was awesome and set the tone for the rest of the show. If you are into the tabletop games hobby and not familiar with Tabletop Minions, you need to check it out. Simply put, one of the best Youtube channels out there for the hobby—period. GenCon would not of been complete if I hadn’t run into a bunch of fellow Nebraskans. Guys like Justin Blaske and Mel Primus from Five24Labs, of Mint Works notoriety. I found them running their giant Mint Works demo in the event hall with a number of other familiar faces from our hometown. If you are reading this article near the day it was published, you have got to check out their new mint tin game—Mint Delivery on Kickstarter! They blew away their funding goal on day one and we can’t wait to see how far it will climb this time around. I ran into some other familiar industry folks like James Hudson from Druid City Games, Lance Myxter, AKA Undead Viking, and Daniel Zayas. It was also great to see some good friends like Ian Spiegel-blum from Dragon Shield and the cool dudes from Summon Entertainment—Matt, John, and Marty. Which reminds me, I got Jesse’s copy of Epic Roll and their new Epic Roll: Eclipse while I was at the show—I need to get that to you man! Honestly, there were so many people from the industry—it was hard not to run into someone you knew or one of the many recognizable Youtube personalities. I kept my itinerary pretty light, except for a Star Wars Destiny 100K tournament. I was actually hoping to get into the North American Championship this year, but it was sold out. Unfortunately, I learned after the fact, they had tickets available for the event the day of the tournament—a reminder to always check the events booth. While I made the Top 24 Qualifier for the 100K, my dice went cold on me in the finals—my typical dice-game luck. Well, actually, it was—ha! I got in a ton of demos. Legend of the Five Rings and Starfinder arguably stood out the most to me. While neither one ended up being my thing, they were obviously huge hits at the show and I’m definitely glad I had a chance to demo them. My buddy, Lance White, was really into Starfinder. If you live in Lincoln, you may want to check in at Gauntlet Games and see when their group will be starting up. That said, I was stoked to see the new Blacksmith’s Guild for Guild Ball available at the show. As it turned out, I probably went into the Steamforge booth the most this year—their miniatures are so cool and look fantastic painted! This year they were hyping their upcoming Resident Evil 2 game. Unfortunately, I couldn’t actually find a demo of it or anything other than seeing their staff wearing the shirts. The other two spots I probably hovered around the most were Games Workshop and Kingdom Death. 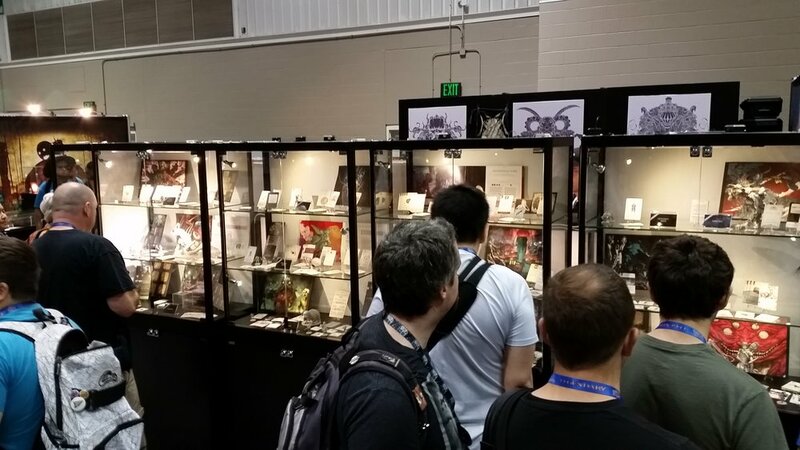 I got a chance to demo Kingdom Death and I have to say that game is ridiculously brutal! Your characters will die—a lot—and everyone seems to love it when it happens—ha, good times! There is so much more I can say about GenCon and Indianapolis, but in short—just a great time. Side note, Kilroy's Bar N' Grill onion rings are amaze-balls—probably the best I’ve ever had. But I digress… Look for Punch-It to be back in full force next year. One of the coolest things about being the Creative Director here at Punch-It Entertainment is to be the first to see our new artwork! And it’s been like Christmas lately—tons of new pieces coming in for our upcoming Reign of Terror stand-alone and fully-compatible game expansion for Battle for Sularia. The date for the Kickstarter launch is now officially set for February 6th, 2018—we appreciate our fans' patience on the time this has taken us. Between now and then, we’ll be spoiling new images every so many weeks. In fact, if you check out our Community page and Battle for Sularia Facebook page, you may find additional spoilers there! In the meantime to hold our fans over, we’ve also been hard at work with designing the Chronicles of Sularia - Art+Fiction Guidebook: Volume I. This 275+ page book—over 300+ if we hit our stretch goals—collects all the art and fiction from both The Battle Begins and Blood, Profit, and Glory. That Kickstarter will launch on October 3rd—just a little over a month away! Before I go, don’t forget to follow us on the interwebs at Facebook, Twitter, and Instagram. We’ve also been ramping up our video content on YouTube and you can catch our live feeds on Twitch. That’s it for now. Have a great day and a safe Labor Day holiday!